Sarah Nader - snader@shawmedia.com Crystal Lake South's Andrew Perrine heads the ball during the first half of Wednesday's Class 3A Dekalb Sectional against Boylan at Dekalb High School October 29, 2014. 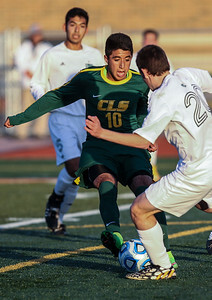 Boylan won, 1-0. Sarah Nader - snader@shawmedia.com Crystal Lake South's Mike Woeste (left) and Boylan's Giovanni Martinez battle for control of the ball during the first half of Wednesday's Class 3A Dekalb Sectional at Dekalb High School October 29, 2014. Boylan won, 1-0. Sarah Nader - snader@shawmedia.com Crystal Lake South's Orlando Tapia dribbles down field during the first half of Wednesday's Class 3A Dekalb Sectional against Boylan at Dekalb High School October 29, 2014. 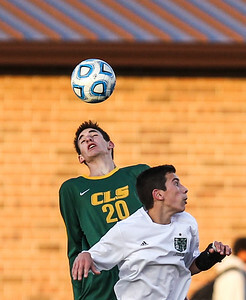 Boylan won, 1-0. Sarah Nader - snader@shawmedia.com Boylan's Brandon Arreguin (left) and Crystal Lake South's Nikolas Getzinger jump to control the ball during the first half of Wednesday's Class 3A Dekalb Sectional at Dekalb High School October 29, 2014. 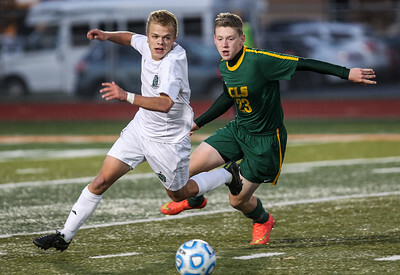 Boylan won, 1-0. 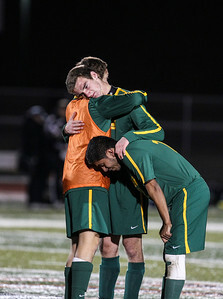 Sarah Nader - snader@shawmedia.com Boylan's Zach Robinson (left) and Crystal Lake South's Andrew Grabowski case after the ball during the second half of Wednesday's Class 3A Dekalb Sectional at Dekalb High School October 29, 2014. 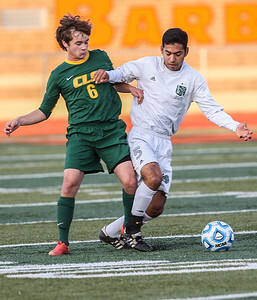 Boylan won, 1-0. Sarah Nader - snader@shawmedia.com Crystal Lake South's Jeff Kirshenbaum heads the ball during the first half of Wednesday's Class 3A Dekalb Sectional against Boylan at Dekalb High School October 29, 2014. 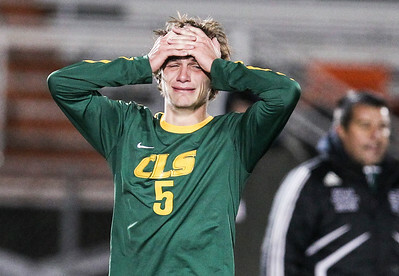 Boylan won, 1-0. Sarah Nader - snader@shawmedia.com Boylan's Tim Trilk celebrates his teams win at Wednesday's Class 3A Dekalb Sectional at Dekalb High School October 29, 2014. Boylan won, 1-0. Sarah Nader - snader@shawmedia.com Crystal Lake South's Ryan Russmann reacts after losing Wednesday's Class 3A Dekalb Sectional against Boylan at Dekalb High School October 29, 2014. Boylan won, 1-0. Sarah Nader - snader@shawmedia.com Crystal Lake South's Jake Canfield (center) reacts after losing Wednesday's Class 3A Dekalb Sectional against Boylan at Dekalb High School October 29, 2014. Boylan won, 1-0. 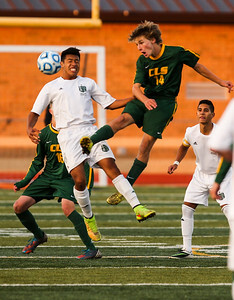 Crystal Lake South's Mike Woeste (left) and Boylan's Giovanni Martinez battle for control of the ball during the first half of Wednesday's Class 3A Dekalb Sectional at Dekalb High School October 29, 2014. 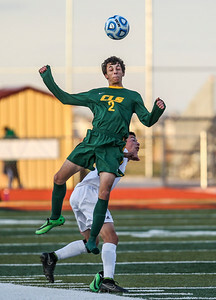 Boylan won, 1-0.